Adidas soccer is busy trying to spread their international love for the world’s most popular sport with a new Juventus Football Club kit and the FIFA Women’s World Cup official match ball. Juventus FC, defending Serie A league champions from Italy attempting to win a fifth straight title next season, released part of their adidas tech enhanced team kit. One of the world’s largest fandoms can represent their affinity for Juventus by wearing the team badge on adizero technology enhanced apparel and climacool® ventilation fabric for sale at adidas.com. Any fan of the 2015 WWC can also purchase the FIFA Women’s World Cup Official Match Ball and FIFA Women’s World Cup Official Final Ball. The Sports Techie community blog has reviewed and shared information about other soccer and adidas products many with sports technology features you can learn more about at this link. 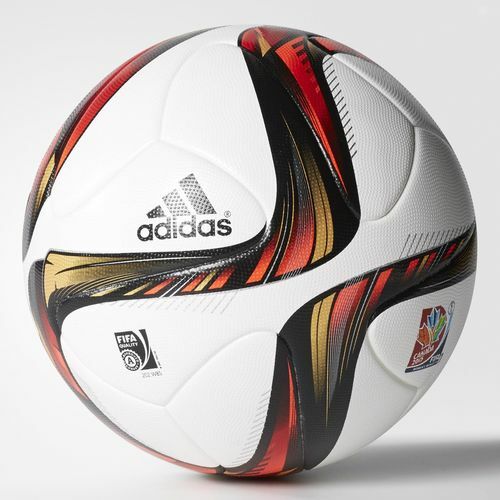 Get Women’s World Cup Final Balls at adidas.com. This post contains affiliate links and I will be compensated if you conduct a transaction after clicking on the links throughout this blog. 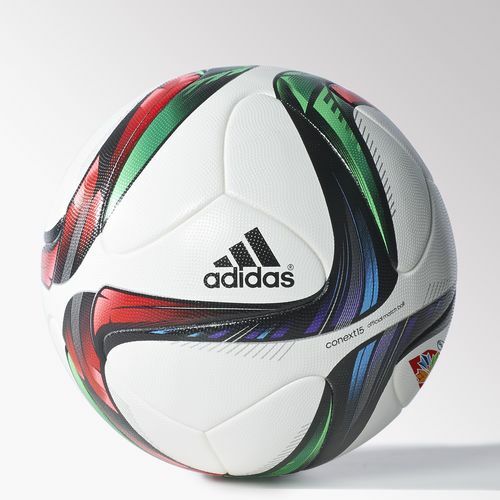 Adidas Selling New Juventus FC Kits And FIFA Women’s World Cup Official Soccer Ball. [La] Vecchia Signora (The Old Lady). The Latin word for youth is Juventus. The club is one of the oldest Italian professional football organizations and throughout their history has kept star players on the roster past their prime like Andrea Pirlo, a recent New York City FC in the MLS signing. The ‘Old’ term is a nickname simply referring to an image of ‘youth’. The term ‘Lady’ goes back to their roots in the 1930’s when Bianconeri fans affectionately used the name to signify a loving and emotional attachment. The newest Juventus jersey design showcases the black and white stripes and a reinvention of the classic Juventus look. Juventus Football Club S.p.A boasts several of the top players in the world managed by Massimiliano Allegri. Juventus is located in Turin, Piedmont and was founded in 1897. In 1923, Fiat owner, Edoardo Angelli took over running the club. Post World War II, le zebre (the zebras) became a source of national pride and helped the war torn country move forward as a people and culture. They are the most successful team in the history of Italian football. Home matches are played at imposing Juventus Stadium. The official partnership signed between adidas and Juventus happened back in 2013. The six-year contract finally vested for the 2015-16 season ending the Nike affiliation and continues on until 2012. Team President, Andrea Agnelli, promises to innovative together. Juventus are diversifying their business model and hoping the fresh partnership with adidas enables a continuation of international and national victories while staying true to form as the premier club of Italy. The ‘Our Way Or No Way’ and #Bethedifference Juventus marketing campaign unveiled a ‘no clowns, just footballers’ advert. French midfielder Paul Progba stars in the adidas advertisement introducing the new Juventus home kit wearer to feeling Italianita (“Italianness”). Progba has been linked to FCB this summer while star Arturo Vidal from Chile may be in talks with Real Madrid but these are just rumors Juventus director, Giuseppe Marotta, has to deal with managing the Juventino of Italy. Marotta claims his top talent are going nowhere unless they request a move to another club. Carlos Tevez did join Boca Juniors. Juventus won the domestic 2015 Coppa Italia tournament final played at Stadio Olimpico in Rome against Lazio. The Old Lady won the 67th version of Italy’s primary football cup setting a national record by winning their record tenth title. Juventus also fares just as well in European competitions. Juve played FC Barcelona in Munich for the 2015 UEFA Champions League title several weeks ago and tied the championship game up until Barca tallied two late second half goals to win 3-1. Juventus are also a national team pipeline because of their high impact players helping to lead the soccer loving country to 1934, 1982 and 2006 World Cup championships. There have been scandal’s and corruption investigated by the Italian football federation (FIGC) over the years. Two Juventus directors had telephone conversations recorded about match fixing and refs with FIGC officials that were eventually published. This phone tap Calciopoli scandal happened before the 2006 World Cup causing the entire Juventus board to resign, team reassignment to Serie B and elimination of the 2005 and 2006 Scudetto titles. Now is the time for legendary Juventus Captain and goalkeeper Gianluigi Buffon, vice-captain Giorgio Chiellini, midfielder Claudio Marchisio, Spanish striker Álvaro Borja Morata Martín, Mario Mandžukić, Paulo Dybala and 19 year old attacking midfielder Kingsley Coman, to all fill the Old Lady shoes wearing adidas. This junior boys’ soccer jersey is a version of the one Juve wear when they take their goal-scoring game to their opponents. Adidas is behind a sports tech soccer revolution and have introduced a new way of seeing football: soccer matches are decided on the finest of margins. The Juventus Authentic jerseys help provide players the competitive edge of speed while maintaining more comfort on the pitch. It is constructed of a woven lightweight fabric designed to improve breathability while allowing increased flexibility of movement. The Replica jerseys come equipped with Climacool ventilation technology proven to help cool the body and dry through holes, breathable materials, fabrics and special stitchings. You have to be a billboard for Jeep because their sponsorship calls for the company name to be displayed in big letters across the chest. The adidas kit box comes with a microchip packed with Juventus content. Styled after their home shirt, it features breathable climacool® ventilation and the team badge on the chest. The adidas Juventus 2015-2016 Home Kit features six vertical black stripes and five vertical white stripes with a jagged design, based on the adidas Striped 15-16 Teamwear template. On the back of the new Juventus adidas Home Kit is a white panel for the players’ names and numbers, while the striped kit design is continued on the sleeves of the jersey. The inaugural adidas Juventus 2015-16 Home Shirt celebrates the club’s heritage with the iconic vertical black-and-white striped kit design. The new shirt has thinner stripes than previous Nike Shirts, which were inspired by the shirts worn by Juventus in the 1980s. For the first time in the club history, the new Juventus 15-16 Kits carry three gold stars above the famous club crest. 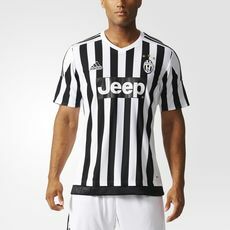 The adidas Performance logo on the front and the Jeep sponsor logo of the new adidas Juventus Kit are black and white. On the black bottom hem of the new adidas Juventus 2015-16 Home Shirt is a subtle tonal graphic print, which draws inspiration from the Juventus Stadium. White shorts and socks complete the new adidas Juventus 2015-2016 Home Uniform. 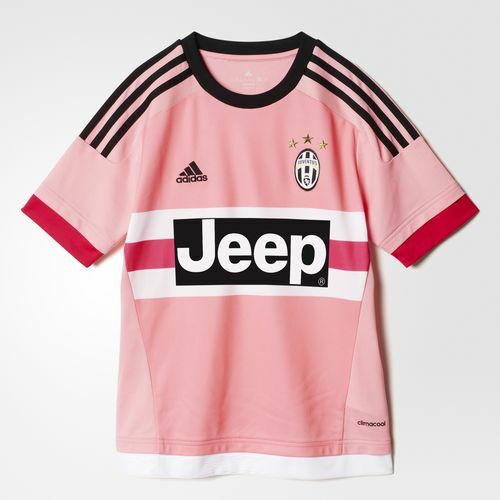 The new adidas Juventus 2015-2016 Away Jersey has a pale pink base, inspired by the shirts worn by Juventus in the club’s first years. Since 1897, the year of the club’s foundation, until 1903 the Juventus players have worn pink jerseys and black shorts creating a kit that has become iconic and an integral part of the club’s history. The adidas designers have thus reinterpreted tradition by combining the pale pink color of the historic club jersey with brighter pink applications on the sleeves and on the front in between the white stripes to create perfect mix of authenticity and modernity. As with the home jersey, the hem displays an application, white in this case, on which the ‘J’ letter and references to the exterior design of Juventus Stadium are featured, tone-on-tone. The round neck collar is black as well as the logo and the adidas three stripes and he shorts are black with the three stripes and the adidas logo on the back is light pink. The Juventus crest is also on the front and the names and the numbers of players will be in black. The socks are pale pink with bright pink and white inserts recalling the stripes on the central panel on the chest. The new adidas Juventus 2015-16 Third Kit is black with stunning golden details and three gold stars above the Juventus crest. The Jeep logo on the new Juventus Third Jersey is kept simple and comes in golden letters. A unique stadium-inspired fading effect from black shirt to white socks is the key feature of the new Juventus 2015-2016 Third Kit. Adidas Selling New Juventus FC Kits And FIFA Women’s World Cup Official Soccer Ball – Sports Techie blog. Our virtual congratulations go out to the U.S. women’s national soccer team after they beat Japan 5-2 at BC Place in Vancouver to earn a record third World Cup title. In celebration and commemoration of the this historic win by the USWNT, the match ball can be yours to put in a trophy display or else roll it out on the game or practice field so you can play like the best do. These official adidas match balls honor the women of Vancouver with a FIFA logo over a dynamic graphic print. Designed with a thermally bonded seamless surface, this soccer ball moves through air with precision. It features high-end materials in the cover, backing and bladder for accuracy and durability. The Men’s FIFA Men’s World Cup Brazil featured the Brazuca. 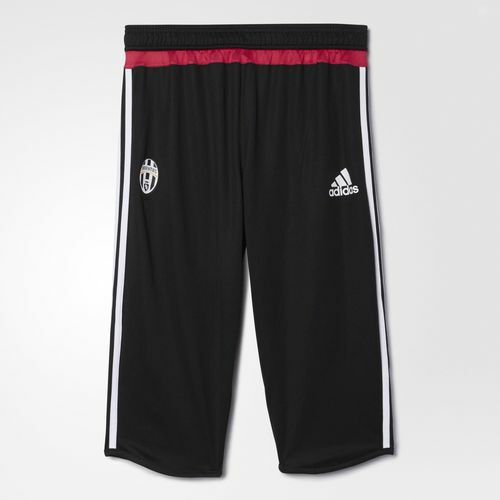 Sports Techie, the availability of Juventus jerseys right now are men’s and boys’ soccer sizes only. More gear will be launched over the six year business relationship. I played soccer as a kid through high school and remember adidas as the premier soccer brand as they still are. Adidas football delivers high-quality, sports tech-driven products Juventus now wears as an edge. Look to run faster, be quicker and jump higher while increasing the quality of technical skills and techniques with adidas. Look over our blog review on the customizable adidas predator instinct cleats experience that synch well with their kits and balls. I look forward to paying closer attention to any new sports tech enhanced footwear, gear and training devices adidas and Juventus create on the road to performance perfection and lifestyle statements. Three stars for the fans who let us know if you have a WWC soccer ball or a new Juve jersey made by adidas.